We are able to provide for all of your testing needs and help you keep your business in compliance with environmental regulations. We test all different size underground storage tanks. 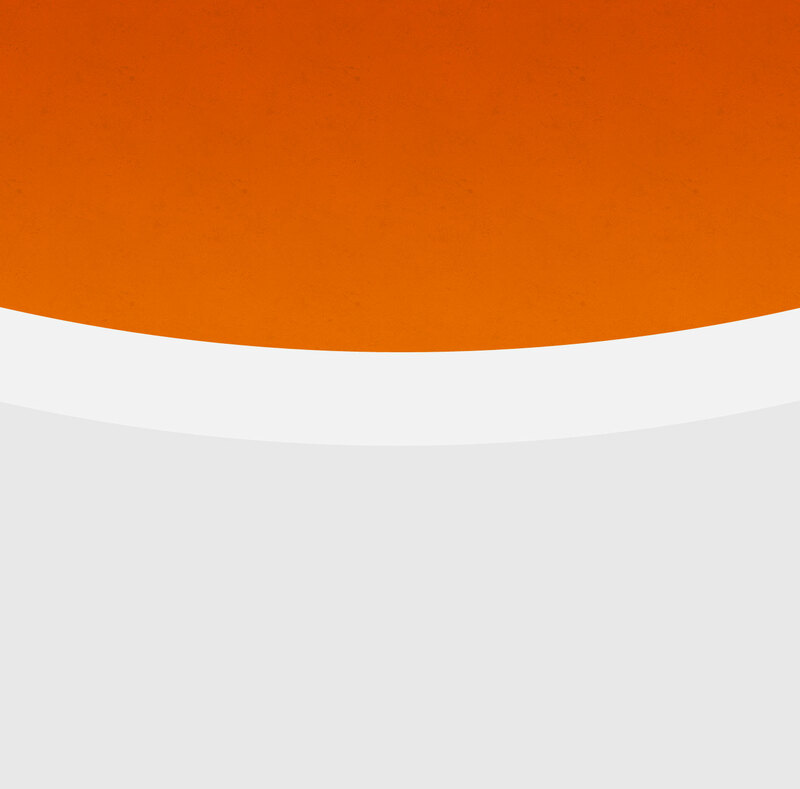 The product levels can be from zero to full. 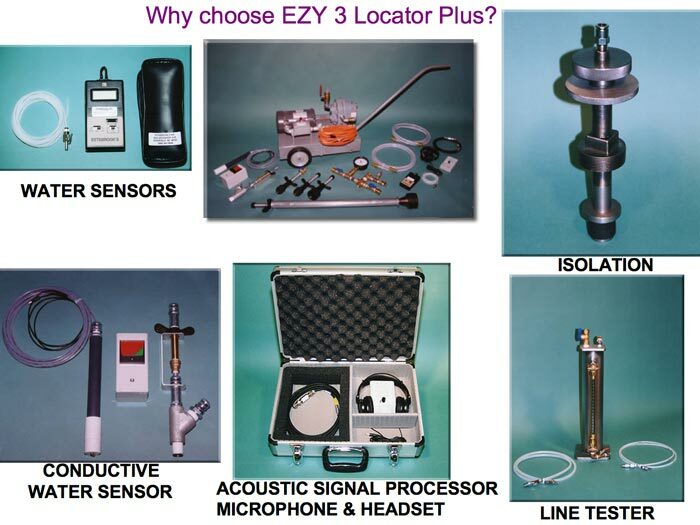 Click to view our Leak Detection Testing Equipment. Any single wall tank must be tested every five years. Any double wall tank must be tested after fifteen years and then every five years if it is not in compliance with New York State regulations. If the interstitial space is not monitored and the information recorded, it must be tested every five years. Hydrostatic tests can be performed on dispenser sumps and tank sumps. There is no regulation saying how often they have to be tested if they are in compliance with New York State regulations. All leak detectors must be tested yearly. Cathodic protection must be tested yearly. Hydrostatic tests are used on spill containment manholes. Spill containment manholes must be kept clean, free of debris, and hold liquid. Single wall product lines must be tested yearly. Double wall product lines must be tested yearly if they are not monitored and the information recorded monthly. All tests results are forwarded to the New York State Department of Environmental Conservation and the customer. All survey reports and information are only forwarded to the customer. We can do a site survey to ensure that your site is in compliance with regulations. If there are violations, we can give you a written report stating the violations and how to correct them. We also can make any corrections that are needed to bring you into compliance. Additionally, we can do a monthly environmental survey to ensure that you will stay in compliance. 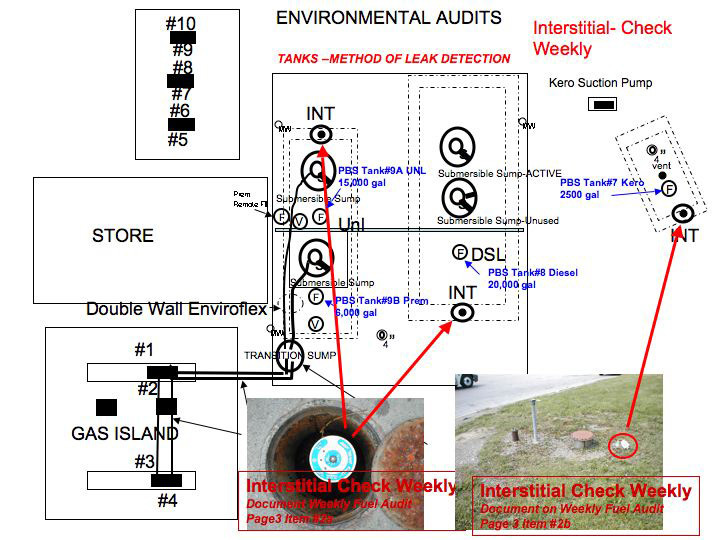 Click here to see a sample Environmental Audit. New York State and the federal government do periodic inspections to check and see if businesses are in compliance with their regulations. You must have proper inventory records with ten-day reconciliation. Spill manholes must be maintained, cleaned, and free of debris. Manhole covers must be painted with proper product labels and proper product colors. Each manhole must have a tank tag that states the size of the tank, working capacity, UL number, type of tank, and installation date. Overfill protection must be in place and properly functioning. Tank sumps and dispenser sumps must be clean and free of liquid and debris. Dispensers and submersibles must be dry and free of any staining or liquid. Vapor recovery fittings must be in place and functional. The yearly testing results must be on site for leak detectors, lines (if needed), and tanks (if needed). There must be a record on site of weekly monitoring of the interstitial space.